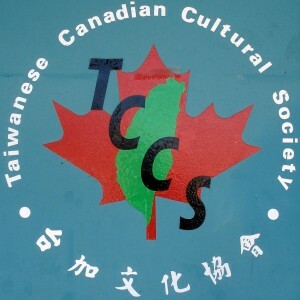 The Taiwanese Canadian Cultural Society, Taipei Economic & Cultural Office in Vancouver, and the Irving K. Barber Learning Centre are pleased to collaborate for the art exhibition featuring the arts and crafts “Made in Taiwan”.  A knowledge of its nature and culture is the key to a deeper understanding of Taiwan. 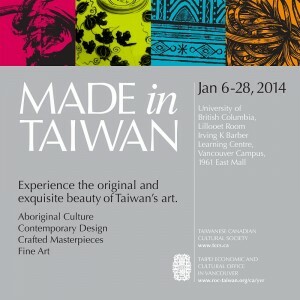 There was a time when “Made in Taiwan” symbolized inexpensive trinkets and plastic toys. Taiwan has since reinvented its economy, focusing on technology and computers — but alongside their high-tech industry is a re-emphasis of Taiwan’s rich history of craft traditions as a way to construct a national identity — an identity complicated in recent years by political power struggles. Certain cities and towns in Taiwan are renowned for specialty crafts. 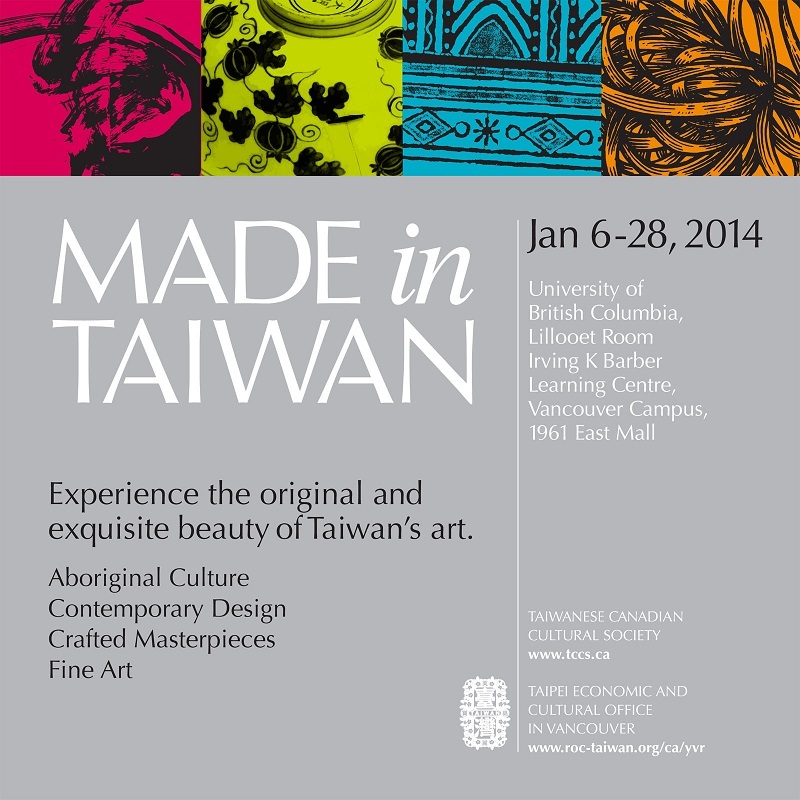 The Irving K. Barber Learning Centre exhibition, a conduit for the visual arts and contemporary culture, presents “Made in Taiwan”, an exhibit of crafts showcasing different aspects of Taiwan’s natural diversity and beauty, historica landscapes, its folk customs, people, cities, temple festivals, and holiday celebrations.